Tuesday Q&A Series – Bond Bubble? We’ve received some great feedback from our readers concerning our special Q&A series that we have been posting on a trial basis every Tuesday for the past three weeks. It seems that people are enjoying the series enough to make it a permanent fixture on the Rollins Financial Blog, so our plan is to continue posting the Q&A series every Tuesday. If you have questions about investing or financial planning, please send them our way at contact@rollinsfinancial.com. This week’s question comes from Mike, a client who is wondering if bond investments are reaching the “bubble” classification. His concern intensified after reading Jeremy Siegel and Jeremy Schwartz’s August 18th The Wall Street Journal Op-Ed, “The Great American Bond Bubble.” Jeremy Siegel is a distinguished Professor of Finance at the Wharton School of the University of Pennsylvania and is known as the “Wizard of Wharton.” He is also a senior adviser to WisdomTree, Inc., where Jeremy Schwartz is the director of research. Both of their opinions carry great weight in the investing world. Q. When reviewing my investment accounts managed by Rollins Financial, I’ve noticed that you’ve moved somewhat away from stock-based mutual funds into bond-based mutual funds. I am concerned about moving into the bond arena when it’s been said that there is already a bond bubble. In the long run, wouldn’t we be better off buying stocks than investing in the current bond market? A. There’s been a lot of discussion in the financial press regarding a bond bubble. The Siegel/Schwartz WSJ Op-Ed poses a great argument that those who are rushing to invest in the bond market are perhaps doing so at the wrong time. Siegel and Schwartz make a convincing and credible argument that investors should really be buying stocks right now since they are so cheap instead of bonds, which are outrageously expensive in comparison. Some background information on the topic is appropriate to make sure everyone understands how extreme things have become in the U.S. stock and bond markets. Due to the uncertainty of the equity markets and the basic distrust of the economic recovery in the United States and the rest of the world, investors have been rushing to purchase U.S. Treasury bonds and notes. From January of 2008 through June of 2010, over $230 billion has been removed from stock-based mutual funds. Over the same timeframe, there has been $559 billion of inflows into various types of bond funds. Based on the theory of supply and demand, the demand has overwhelmed even the massive issuance of bonds due to the federal deficit and has forced interest rates down. In addition to the public and foreign governments acquiring U.S. government debt, our own Federal Reserve System has been a net purchaser of bonds of all kinds and now holds on its balance sheet close to $2 trillion in residential real estate bonds and, to a lesser extent, U.S. Treasury bonds. Predictably, the purchase of these bonds has forced down interest rates to historic lows. The 10-year Treasury bond today is now yielding 2.5% for the 10-year period. An investor would definitely have to be somewhat cynical regarding the U.S. recovery to accept a 10-year rate to maturity of only 2.5%. One-half of the stocks in the Dow Jones Industrial Average have dividend percentages greater than 2.5%. Even in the most recently down-rated GDP for the 2nd quarter of 2010, the growth rate in the U.S. was 1.6%. If you assume that the growth rate normalizes in 2011 at 2.5% and inflation meets its assumed target of 2%, then you would be willing to accept a real rate of return over a 10-year period at an amount barely above zero purchasing power. This is calculated by the rate of return on your investment at 2.5% less 2% inflation for a marginal return of .5% for the 10-year period. Treasury Inflation-Protected Securities (TIPS) is a category of 10-year U.S. Treasury bonds that automatically adjusts for inflation each year. At the current time, bonds are selling for a negative rate of return given that the current rate of inflation exceeds their coupon rate. In fact, these bonds are currently selling at 100 times their estimated payout, which ironically mirrors the high-flying tech stocks in 1999 just before the 80% market correction of those same stocks. The last time U.S. Treasury bonds sold at such low rates was in 1955 when President Eisenhower was in office and the U.S. was suffering from the slowdown from World War II with almost a zero growth rate and a zero inflation rate. Although pessimism regarding the U.S. economy seems to be running rampant, I do not agree with that sentiment, and therefore, I am not willing to accept such low rates of return. It was only last spring that a 10-year Treasury bond had a yield of over 4%; today those rates are close to 2.5%. If U.S. Treasury bonds were to return to the 4% range, investors who purchased them at 2.5% would receive a loss of principal in the double-digit range. If Siegel and Schwartz are correct, then why is Rollins Financial investing in bond funds? First and foremost, it’s important to understand that there are many different types of bond funds. We rarely invest in bond funds that are dominated by U.S. Treasuries. In short, I concur with Siegel and Schwartz that stocks are extraordinarily cheap and will almost assuredly go up while investing in U.S. government bonds is a losing proposition. After all, interest rates will assuredly be increasing in coming years, bond investments will pay a lower interest rate, and there’s the enormous potential for capital depreciation. At Rollins Financial, we very rarely invest in mutual funds that are exclusively comprised of U.S. Treasury bonds. While we find U.S. Treasury bonds vastly overvalued at the current time, U.S. corporate bonds are actually much more fairly valued. In fact, in spite of the deteriorating state of the U.S. government, the finances of U.S. corporations are improving almost daily. For example, we have invested in the five-star PIMCO Investment Grade Corporate Bond Fund for several client portfolios. Of this entire $5 billion bond fund, only 5% is invested in U.S. government instruments while almost all of the remaining assets are invested in high-grade corporate debt instruments. This PIMCO fund has over 703 individual assets, of which 55% are in corporate bonds with an “A” or better rating. Additionally, with corporate profitability at its highest point ever in corporate America, defaults on these types of bonds are virtually nonexistent. At the current time, the yield on this PIMCO corporate bond fund is at 5.5%, which is over twice the rate that can be earned on a 10-year government guaranteed instrument. We believe these types of bond funds offer the opportunity for stable current income and capital appreciation while the stock market continues to trade in a sharp trading pattern, basically swinging one way or the other significantly. This type of fund offers a nice diversification away from volatile stock market funds. This bond fund adds significant stability to our portfolios; it even earned a profit in 2008 when both stock and bond funds took severe losses of principal. The fund’s upside potential is noteworthy in that it had a return of over 18% in 2009 and did not lose money in the period from 2003 through 2009. While the PIMCO Investment Grade Corporate Bond Fund constitutes a bond fund, it is clearly not the same type of bond fund investment that Siegel and Schwartz criticized in their Op-Ed piece. Another type of bond fund of interest to us at Rollins Financial is the PIMCO Emerging Markets Bond Fund. As in the PIMCO Investment Grade Corporate Bond Fund, this bond fund carries a 5-star rating by Morningstar. It is an excellent fund that is comprised of some of the sovereign debt of the Emerging Markets (i.e., Brazil, Mexico, and Russia). In addition to the two excellent bond funds mentioned above, we also invest in a series of high-yield bond funds. About ten years ago, these types of funds were called “junk bond funds.” In those days, they were viewed by many to have very low quality bonds, and correspondingly, the default rate on these bonds was fairly high. In recent years, however, due to the banking problems, many corporations in America are using these types of debt instruments to finance their businesses. In most cases, the yields on these investments are over 7%, which is many times the interest rate an investor can earn on government guaranteed debt. Given the extraordinary profitability of U.S. corporations at the current time, we believe these bond fund investments are appropriate. Since the debt has a higher credit rating than the equity of these companies, the defaults are very low and their earnings are high in respect to other types of interest earning investments. That said, we do not plan to keep these bond fund investments in our client portfolios forever. We still believe that stocks are currently incredibly undervalued and will offer an excellent opportunity for profits for years to come. When an investor can buy stock in excellent companies like AT&T and Verizon with dividend yields in excess of 6% and blue-chip stocks like Exxon Mobil, Chevron, Procter & Gamble and Johnson & Johnson at over 4%, these high rates of dividend returns signal a bottom for stock prices in the future. In summary, due to the extraordinary U.S. stock market volatility we have endured over the last eight months, we think it is appropriate to take advantage of bond funds to at least earn our clients some interest during this time period. These bond funds add diversification and stability to a portfolio; in this market, both are good attributes to making more money for our clients. You may rest assured, however, that as the U.S. stock market stabilizes, we intend to move some of our clients’ assets from these bond funds back into equities where we believe there is greater potential for more substantial gains. Thanks for the excellent question, Mike. I hope you and our other readers have a better understanding of the types of bond investments that Rollins Financial finds to be appropriate for some of our clients. In next Tuesday’s Q&A post, we’ll be answering Gus’s questions regarding international investing. Gus is particularly interested in learning more about China’s role in the global economy and how it affects U.S. investors. As always, we hope our readers will keep Rollins Financial in mind when seeking professional investing and financial planning advice, and of course, there is no greater compliment than the referral of a friend or family member. Q. Even though the average rate of return on the bonds is 4%, over the last several years the value of this account has changed dramatically. One year I made 14% on the portfolio (including the interest I received), and another year I lost 20%. What causes such vast fluctuations? A. First, let’s give a little background on bonds. When bonds are sold to the open market, they are priced at “par” which is typically $1,000. At par, the bond has a set dividend that correlates to the yield that most people reference. For example, a bond paying 4% at par will pay $40 for every share ($1,000 @ 4% = $40). If the bond is priced higher than par, it is being sold at a “premium” and will have a yield less than 4%. If the bond is priced lower than par, it is being sold at a “discount” and will have a yield less than 4%. Whether the bond is being sold at a premium or discount, the dividend amount remains the same. Bonds are debt instruments used by governments (federal, state, local, and foreign) and corporations to raise money for various reasons. The “bondholder” (one who buys the bond) is considered a creditor. The credit worthiness of the “bond issuer” (the entity issuing the bonds for money) will determine what the yield would need to be for the “market” to purchase the bond. The better credit the issuer has the lower the yield. For instance, the U.S. government will always have the lowest yields then yields will move higher from there. Bond “classes” are generally considered U.S. Treasuries, Investment Grade, and High-Yield. Also, if held to maturity, the bondholder will receive the par value back at maturity. Now, regarding your question, bonds are generally considered “safer” investment instruments than equities because in the event that an entity goes into bankruptcy, the bondholder would be paid prior to preferred or common stock owners. This does not mean though that bond prices will not fluctuate wildly depending on various factors – economy, interest rates, issuer specific problems, etc. For example, in 2008 your bond portfolio dropped 20%. While we do not know the specific bonds you hold, it is easy to look back and see that during 2008 the underlying economic fear was that corporations and governments were going to default on their bonds. Since this was the worry, the price the market was willing to pay for bonds (with the exception of U.S. Treasury bonds) dropped dramatically and thus almost all bonds were being sold at a discount. In 2009, when the market and economy rebounded with companies once again generating profits, bonds started to rise likewise. The fear of defaults that drove the price down subsided and thus pushed the bonds higher. Below is a chart reflecting the various returns on these separate classes in 2008 and 2009. Q. What can I do to remove the volatility from this bond portfolio? A. Simply put – diversification. When designing a portfolio of bonds or equities, it is important to have a mixture of the various styles within the portfolio to balance the different ebbs and flows of the styles. A good mixture of short, intermediate, and long term bonds from the various classes should give you a better mix and remove some of the volatility. Once again, look at the chart above regarding the performance of the various funds. A portfolio that was diversified would have outperformed any single investment. Q. My monthly statements reflect that some of the assets are titled "Margin Assets." Since I don't have a margin account and don't want my account to be margined, why are these assets called "Margin Assets"? A. Some brokerage accounts when initially setup may default to allow the account to be margined. This does not mean that you are margining your account or that you will margin your account, but it is an option. For example, if you write checks on your account and for some reason forgot to have enough free cash in the account, the ability to margin the assets in the account would be used to pay the check – rather than let it bounce. You can look at it simply as “overdraft protection” in this case. This is something we frequently see, and for our clients, we simply place a trade the next day to cover the margin balance within the account. Like you, we do not use the margin feature in our clients’ accounts unless a client has specifically asked for us to do so. It is considered a “loan” from the brokerage firm, and they do charge interest on the amount that is margined. By the way, retirement accounts (IRAs, SEP-IRAs, etc.) and custodial accounts are never marginable. Q. I have been accumulating statements and trade confirmations from my brokerage house for years and I really don't know what to do with them. Do you have any suggestions on alternative methods of receiving statements and trade confirmations from my brokerage house that would minimize the amount of paperwork I have to maintain? A. A very good question with an answer that we have been preaching for years… go electronic. Brokerage firms now allow clients to receive statements, confirmations, and even prospectuses by email, and it is an easy process to start. Simply setup a login and password with your brokerage firm, then somewhere in the profile portion of the account it should have a section to change your preferences to receive correspondence via email. Once you are setup, look online to see how many years of statements and confirmations the brokerage account has for your account. It is usually at least seven years, so you have access at any time to review any of those old statements and print them if you wish. You can then decide what you want to do with your current old statements. Thanks for your questions. I hope you and our other readers found my answers to be useful. 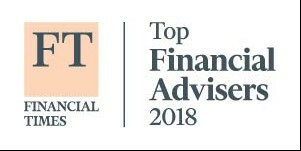 As always, we hope you will keep Rollins Financial in mind when seeking professional investing and financial planning advice. Today was the final week of this special Q&A series. If you have enjoyed this series and would like to see it become a regular feature on The Rollins Financial Blog, please let us know by emailing us – contact@rollinsfinancial.com. "In case you hadn't heard, Thursday's action on the New York Stock Exchange registered a technical anomaly known as the Hindenburg Omen. Read: just like the doomed German airship, the markets are fated to crash and burn. Still worse, Wednesday's trading action almost sparked Hindenburg Omen conditions. It takes two Hindenburg Omen trading days within a 36 day window to trigger the end of life in the markets as we know it." Q. What is your take on the significance of the Hindenburg Omen? A. There's been a lot of press about the Hindenburg Omen lately. Several other clients asked me this question over the weekend, so I thought I would go on and respond to it now instead of waiting until next Tuesday's Q&A post. The Hindenburg Omen is a technical indicator that foreshadows not just a bear market, but a stock market crash. Its creator, mathematician Jim Miekka, said his indicator is now predicting a market meltdown in September. I have never been much of a believer in technical stock market analysis because there are too many variables to give it a whole lot of credence. Most of the well-known theories were created by back-testing the stock market. This means that scenarios were put together and then tested back through time. Analysts would then draw a conclusion based on the formation of the trading patterns. The Hindenburg Omen is such a stock market indicator. The reason I have never given much credibility to technical analysis is because it only takes into account matters that are happening in the stock during a given time. They rarely take into account external economic events that could have a dramatic effect on trading and be vastly different at any two given points in time. For example, it doesn't make sense to compare a trading pattern between 1982 when CD's paid 15% interest and 2010 when CD's pay less than 1% interest almost across the board. However, almost every day I see a comparison between the U.S. recession of 1981 and 1982 and the recession in the United States in 2008 and 2009. Given that external economic events were so completely opposite during those time periods, there is no comparing those time periods from a stock market point of view. For instance, if you could earn a CD rate of 15% annualized or you could buy U.S. Treasury bonds paying 12% interest, there seems to be little incentive to buy anything in the stock market during that timeframe. That was the case in 1981 and 1982. Given that you can earn almost nothing by investing in CD's today, 2008 and 2009 do not seem very comparable to those years. There are stock market theories for virtually everything. One of the more famous is the Super Bowl stock market indicator. This theory implies that if an original NFL team wins the Super Bowl, then the stock market will be up that year. While this pattern was true for several years, it has not been true in recent years -- but it did have a chance for being 50% correct. You may have also heard about the January Effect, which basically indicates that if the stock market is up during the month of January, then the entire year will also be up. Once again, this is interesting reading, but it's not particularly accurate. My favorite stock market technical analysis pattern is the length of women's skirts in Paris fashions. The theory is that the shorter the skirts, the higher the market. I don't need to explain the analogy. As for the Hindenburg Omen, once again, there is not a clear piece of documentation that it's particularly accurate. It's true that in every major stock market crash, the Hindenburg Omen gave a signal. However, it's also true that there have been many Hindenburg Omen indicators that have not resulted in a stock market crash. The success rate for predicting a market crash with this indicator is only about 25%. When asked about a Hindenburg Omen causing a market meltdown in September, Andrew Brenner, the managing director at Guggenheim Securities, commented amusingly to his clients, "Personally, it sounds like [people] are starting their weekend drinking early." While the Hindenburg Omen is fairly technical, it's not that hard to understand. When there are an extreme number of stocks trading at their 52-week high and as many trading at their 52-week low, it causes concern since there is a great misunderstanding about whether the market is going up or going down. More importantly, the 10-week moving average must be rising and the McClellan Oscillator must be negative -- both issues of volatility in a rising market. Even though the Hindenburg Omen flashed last week (incidentally, on Friday the 13th, which perhaps explains the whole frenzy), it has not been confirmed. There was a lot of publicity on Monday morning when famous, long-term CNBC reporter Art Cashin indicated that the second part of the Hindenburg Omen would play out within three to four weeks. Obviously, no one really has a clue whether or not this will actually happen, but the fact that Cashin made this comment on national television drew some attention. It's important that we look at the last time the Hindenburg Omen occurred and evaluate its impact on the stock market. The last time there were two confirmed Hindenburg Omens were in June and August of 2008. You may recall that shortly thereafter, the stock market moved up a cool 80%. If the stock market will move up 80%, I'd be happy to have a confirmed Hindenburg Omen today. So, to answer your question, Bill, I do not give much credence to the Hindenburg Omen. For the reasons above, I'm not sure there's any technical analysis pattern that is any better than another, and none of them in my opinion are very valuable, unless you take into account external economic events. As I have said for many years in my posts, interest rates and earnings are what affect stock market performance; interest rates are incredibly low right now and earnings are incredibly high. The combination of those two positive economic events will almost assuredly lead to higher stock prices in the coming years. Thanks for your question, Bill. I hope my answer has been helpful to you in evaluating the importance of the Hindenburg Omen. This week’s questions come from readers Bob and Gloria, a relatively healthy couple in their early eighties. They are concerned about some estate matters and how to organize their assets going forward. Q. What's happening with the estate tax legislation? A. Luckily for the Steinbrenner kids, there is currently no estate tax for 2010, otherwise they could have incurred a nearly $500 million estate tax bill on Steinbrenner's estimated $1.1 billion estate. His heirs would have almost certainly had to sell their stake in the Yankees in order to pay that bill. Congress could still act retroactively, although this seems unlikely as we move deeper into the year. There are currently two estate tax bills that have been proposed: One actually passed the House late in 2009 that would have extended the rates of 2009 though 2010 (an estate tax rate of 45% over and above the exemption at $3.5 million per individual or $7 million per couple), but that bill was never considered by the Senate. The other bill is a bipartisan bill -- yes, it’s shocking that anything is bipartisan these days -- in the Senate that would adjust the estate tax rate down to 35%, while increasing the exemption to $5 million for an individual and $10 million for a couple. The boundaries seem clear, and we’ll probably end up with something similar to the proposals offered. We don’t believe Congress will fail to act for 2011, considering the tax rates would return to pre-2001 levels of 55% on individual estates of over $1 million. But, most of us thought that it would have been extremely unlikely for Congress to not act for 2010, either. Unfortunately, not having an estate tax law in place may actually negatively impact estates that would have qualified for the exemption. Q. Considering the outlook on estate taxes, does it make sense to commingle our assets or hold them separately? A. This is a good question and probably requires a more elaborate and specific answer than we can definitively provide for everyone here. However, as a rule of thumb, we usually suggest that couples keep their assets in joint name unless they are expecting to bequeath an estate that exceeds the exemption (i.e., joint assets above $7 million total). We want to stress that each situation is different, and that there are additional considerations if you are fortunate enough to have an estate above the exemption level. If you have not considered alternative strategies yet, you may want to explore dividing some of your assets into individual names. This may allow your estate to pass to your heirs using the maximum exemption. Either way, this is a good reason to sit down with your Financial Advisor and/or your estate attorney. Q. How should the investment accounts I plan on leaving my heirs be invested? A. Generally, a retired couple would institute a more conservative strategy designed to provide consistent income throughout their retirement. However, we try to encourage those that plan on leaving their IRA’s or a portion of their assets to their heirs to think a bit differently. The assets earmarked for heirs should be invested with the beneficiary’s time horizon in mind, not the account owner. For instance, should your children or grandchildren be the ultimate beneficiaries, you can afford to invest with a more growth oriented philosophy, as their life expectancies are significantly longer. Yes, there will be more volatility with these more aggressive portfolios, but the assumption is that these folks will not need or have access to these funds for a significant period of time. Some added short-term volatility is well worth the likely outcome of higher returns over a longer time horizon. Q. Who should be the beneficiary on my old 401k or IRA? A. We almost always suggest having individuals listed as beneficiaries on your retirement accounts. If there are no beneficiaries listed, Uncle Sam jumps to the head of the line and will benefit quite handsomely. Taxes will be due on the IRA in full during the year you die, but individuals can defer tax payments for decades. We would suggest family members, and even friends, before leaving retirement assets to be passed through your estate. Named individuals can always roll over your IRA assets into Inherited IRA’s of their own. The beneficiaries can then take distributions from these inherited IRA’s as needed. But the main benefit is that the new account owner can enjoy tax-deferred earnings throughout their lives. Thanks for your questions, Bob and Gloria. I hope you and our other readers found my answers to be useful. As always, we hope you will keep Rollins Financial in mind when seeking professional investing and financial planning advice. Next Tuesday is the final week of this special Q&A series. If you have enjoyed this series and would like to see it become a regular feature on the Rollins Financial Blog, please let us know. The stock market sold off 3.5% last week for no particular reason. This probably reflects the dog days of summer and the light trading volume that is going on. If professional traders made the concentrated effort to move the market lower, it is relatively easy to do when there is low volume. The reported reason for this sell off was the lack of action by the Federal Reserve System. This is one of the most quoted but misunderstood government agencies. The Federal Reserve System only has two stated goals as stated by the legislation that created it: to encourage full employment and maintain price stability. It is not the Fed's specific job responsibility to encourage the economy. Even with the slowdown in GDP in recent quarters, they are doing an excellent job at maintaining price stability. There's a lot of talk in the press right now regarding the GDP, which was previously announced at 2.7%. Since imports greatly exceeded exports for the month of June, most learned economists forecasted that the GDP's previous 2.7% announcement would be cut to around 1.5%. Even at 1.5%, the economy continues to grow, and that's not a negative matter. However, it's important that you understand the effect of imports exceeding exports for the second quarter. Since GDP is determined by "gross domestic activity," is doesn't have any effect on goods manufactured outside the United States. This so-called negative is interesting because many goods manufactured outside the U.S. are actually manufactured by U.S. companies. A significant portion of the Chinese imports are produced by companies that are somewhat U.S.-owned. Therefore, the real effect of this reduction in GDP is to take out GDP from the second quarter of 2010 and flip it into the third quarter. Even though economically nothing has really happened, if the first quarter GDP is downgraded when the imports are actually sold to the 1.5% range, I project that third quarter GDP will be 3% or greater. You'll see a lot of press on this subject, but it doesn't mean a whole lot economically. Last week's stock market sell off was supposedly based on the Fed's announcement that they would use their excess money from the retirement of assets to acquire Treasury bills. Quite frankly, that is not news at all. For some time, the Fed has been in a quasi-tightening mode by taking money out of the Federal Reserve System and accumulating it on its own balance sheet. Anytime the Federal Reserve uses their excess cash to acquire assets that is an easing technique. Envision a bank that holds particular assets that the Fed buys them, then the bank has excess cash it must loan. That improves the economy by putting more cash in the system for the banks to make business loans. Therefore, the Fed's announcement that they would be using their excess cash to buy Treasury bonds essentially indicated that they were no longer in a tightening mode. Frankly, the Fed doing that is a good thing, and the sell off of the stock market was because they just didn't understand the moves. I have a client that often sends me strange stories that represent the weird part of our population. Almost always, they come with the anecdote, "You Can't Just Make Up This Stuff!" The more I read about Congress and the bills they've passed to supposedly help the economy, I come to the same conclusion -- you just can't make up such weird stories. Recently Congress was called back into session after they recessed for summer vacation in order to pass an emergency $27 billion appropriation to fund teacher salaries across the United States. While this sounds honorable, it is almost laughable when you research what they were actually doing. First and foremost, teacher salaries are a local function. In fact, education is a state function, not a federal function. Education in the U.S. has always been local -- that is the way it should be. While it's true that the federal government provides grants and other enticements for local school systems, the management of school systems is solely a function of state governments. That fact makes this appropriation even weirder. Congress has developed a conscience as of late. I hope it's not too late, but I hope they've decided that for every new outrageous spending bill they pass, they must find an offset so that the net cost to the budget is neutral. I certainly wish they would've thought of that concept about $3 trillion ago. Anyway, the $27 billion appropriation was designed to prevent teachers from being laid off and supplement teacher salaries. No one would question that this is an honorable goal. However, the way it was paid for certainly raises concerns. In order to pay for this particular bill, Congress withdrew $14 billion from the food stamp program and added some reduction of foreign tax credits for corporations to offset the costs. It's easy to see that this does nothing to stimulate the economy. While the people retaining their teaching jobs would have money to improve the economy by additional spending, it would be almost universally offset by the reduction of food stamp program, which would reduce the amount of money spent in the economy by poor people. Hardly seems to be a fair offset. In addition, it should be clear to everyone that these do not create lasting jobs. While you can supplement a teacher's salary for a short period of time with this federal budget allocation, it will not create lasting jobs and therefore, only is a short-term stimulus that probably does more harm than good. Who pays that salary next year? It doesn't even address the issue as to what the local school systems are going to do about their cost structure. Perhaps its time that some of these teachers do go away and costs be cut in other areas of the school system. The fact that the school systems cannot raise property taxes doesn't prevent them from being frugal in their operations since they can go to the federal government and cover up waste and abuse of funds by having the government subsidy. Any federal reimbursement of state expenses only "kicks the can down the road" since it does nothing to address the issue of local funding of education and forcing the states to deal with their own internal problems. I just wonder how you as a taxpayer feel about funding the abuse that is going on in California and their budget deficits that are approaching $5 billion per year. I think it's perfectly reasonable that taxpayers in Georgia are funding the state of California (not! ), which has demonstrated that they have neither the capacity nor desire to even come close to funding their own budget deficits. I don't like to think of myself as a conspiracy theorist, but I am concerned that they are passing such a bill 12 weeks from the mid-term election (which will replace one-third of all U.S. Senators and the entire House of Representatives). Isn't it interesting that we took money away from poor people and gave it to a teacher's union which openly advocates and supports only one political party? I don't want to think that taxpayer money would be used to buy votes, but it's hard to argue in this particular case that it was in the country's best interest to subsidize these teacher salaries. Perhaps it is in the best interest of a political party representing one-half of the U.S. population. Thirty year mortgages today hit 4.5%. You can get a 15 year mortgage for 4%. By using Freddie Mac or Fannie Mae, you can receive the lowest long-term mortgage rates ever seen in the United States. What is ironic about his particular matter is that all of these government agencies are now losing in the aggregate roughly $3 billion a quarter. Do you have any concern about paying in taxes to subsidize a governmental agency so some people in American can get lower interest rates? I particularly have this concern for those who have no mortgage whatsoever. Do you think it's reasonable and fair that you are paying higher taxes in order to subsidize Freddie and Fannie so that they can give a lower interest to your neighbor. I don't want to be an alarmist, but maybe you should think about these matters. We've received some great submissions from our readers in response to our special Q&A series. This week's questions come from Mike, a long-term client and Rollins Financial Blog subscriber. Mike and his wife are in their 60's. He is still working and she is recently retired. Both are drawing Social Security benefits. Q: We tend to gravitate toward high dividend stocks in our personal investments. Can you discuss the pros and cons of this approach, especially considering the fact that many dividends have disappeared with the economic issues at hand? A: Dividend stocks are a great alternative to interest bearing accounts. For instance, the large telecommunications companies, AT&T and Verizon, both pay dividend yields in excess of 6%. Given that most institutions are paying interest income of less than 1% on non-jumbo money market accounts, a 6% dividend rate certainly appears attractive. If Congress leaves the Bush tax cuts in place for couples making less than $250,000, which is what they're saying right now, these dividends also currently have preferred income tax rates of a maximum rate of 15%. One of the major benefits of dividend stocks is that they pay a high rate of return, while a major drawback is that these stocks are unlikely to appreciate much over time. Basically, since the companies pay out a large portion of their income in dividends, they do not seek stock appreciation. Rather, they provide income return to their shareholders. Of course, those of us with bank stocks suffered terrible losses in 2007 and 2008. They were once high dividend payers, but in many cases, those dividends went away. Today the exact opposite is occurring. Corporate profitability is at historically high levels and a concentration of cash in corporations has never been greater. There's been an absolute explosion of companies increasing their dividends over the last six months due to their high profitability and even higher cash levels. Since stocks are trading at historically low multiples, major U.S. corporations are increasing their dividends almost monthly. The major disadvantage of dividend stocks is that you can't just fall asleep on them -- they must be actively managed. In other words, it's imperative that the companies be reviewed on a periodic basis to determine whether their economic future continues to be bright. While dividend stocks are great income producers, they can also be major losers if the company's economic situation changes while you are holding the stock. The greatest positive is, of course, earning a 4% to 6% dividend yield when interest rates are paying virtually nothing and inflation is even lower. In a nutshell, dividend stocks are a great way to go if you are of a certain age and are looking for income rather than growth. Q: How should retirement planning change to adjust to the fact that there may be less Social Security benefits in the future? A: Those who are presently drawing Social Security benefits have almost zero chance of their benefits being cut. Social Security is one of the few sacred cows that politicians just don't seem to have the courage to address for fear of public backlash. While changes to the program are clearly necessary, it's doubtful that any cuts would have an effect on those who are currently drawing benefits. There's no question that the retirement age for drawing Social Security will increase at some point in the future. It also wouldn't surprise me to see a needs-based Social Security system implemented at some point in the future. However, those who are currently over the age of 55 are highly unlikely to face any benefit reductions. Tara Siegel Bernard's recent article in the New York Times, Social Security Jitters? Better Prepare Now, provides excellent illustrations of the repercussions of benefit cuts to a 35-year old, a 45-year old and a 55-year old. As for those who might be affected, my suggestion is that you meet with a qualified financial advisor to develop a strategic retirement plan. Your plan should be designed based on your specific background with your needs and goals in mind. My advice to younger individuals is save enough through an individual retirement account, a company sponsored profit sharing plan or some other retirement savings account to provide for their retirement needs. Then, any amounts they receive in Social Security benefits will just be gravy. My hope is that everyone under the age of 50 saves enough to provide adequate income from their own assets for their retirement years notwithstanding Social Security payments. That way, what is collected through Social Security will just be extra money to vacation with and have some fun. Q: Are reverse mortgages ever a viable option for people 65 and older? A: I have heard nothing but bad experiences regarding reverse mortgages. First and foremost, the upfront fees on these types of programs are prohibitive, and you can almost understand why when you take into account what a bank is doing in this type of transaction. A reverse mortgage enables older homeowners (in a typical scenario, someone who is 62-years old or older) who own their homes free and clear (or close to it) to exchange part of the equity in their homes into tax-free cash without having to sell the home, give up title, or take on a new monthly mortgage payment. In other words, the payment stream is “reversed” -- the bank pays the homeowner each month and gets the equity in their home in return. In a reverse mortgage, the bank is basically taking a risk on how long you will live. Therefore, in the event that the homeowner lives longer than the bank anticipates, the bank cushions the transaction by charging expensive upfront costs, monthly interest charges, and, in most cases, a monthly servicing fee. A major problem with reverse mortgages today is that the bank can only pay the homeowner an interest rate commensurate with what it can earn on its own investments. Given that the return on U.S. Treasury bonds and other types of investments is so low, you cannot expect significant payouts on a reverse mortgage regardless of the term. Instead of obtaining a cost prohibitive reverse mortgage, I recommend that homeowners obtain a standard loan to value mortgage; those loans are currently being offered at rates in the 4% range. This money could then be used to make house payments and pay other bills for years into the future. We have also seen many clients establish short-term home equity lines-of-credit to have available cash in the event of an emergency. I like this idea, too. With the availability of the various lending products available in America today, it seems to me that a reverse mortgage is the least desirable. Q: With mortgage rates extremely low and houses relatively cheap, would it make sense for a couple in their 60's to invest in rental property or other real estate? A: While low mortgage rates and cheap housing definitely make real estate more desirable, there are two major negatives to investing in rental property and other real estate. Two of the major determinations of value in real estate are scarcity and inflation. Since there is such a large supply of houses on the market, housing prices will remain cheap for several more years. Something that has always made real estate more valuable is that inflation impacts everything that goes into building a house. The higher the rate of inflation, the more likely that real estate will appreciate. Given that, in all likelihood, we are facing a very low inflationary period for the next five to ten years, it's unlikely that a house will appreciate due to inflation. Another negative of investing in real estate is its lack of liquidity. Even though an investment property may have value, it is difficult to quickly cash it out. In other words, you can't use a house to buy groceries. Rental properties are also risky because there is a chance it will be vacant. With that, you incur the risk of paying the mortgage payment, property taxes, and repairs without having any rental income. In summary, investing in real estate is a good option for younger people who have a high income from other sources, and not for retirees who may need their cash for living expenses and medical needs. Thanks for your thought provoking questions, Mike. We hope our answers have been useful to you and to our other readers. Again, we encourage all of our readers to submit questions for this special series. If it proves to be popular, we may make it a more permanent fixture on our blog. August of 2010 has been a very unique month in that it has five Sundays, five Mondays and five Tuesdays. This rare calendar occurrence last occurred 823 years ago. So, this "month of fives" business makes this sweltering hot month feel even longer this year. In any event, at least we can look forward to an extra weekend of 95-degree plus temperatures! Great!! I think I'll go visit Miami Beach, where the temperatures are cooler. It’s hot here in Atlanta this time of year, but this summer is such a scorcher that we’re beginning to wonder if the financial questions burning in our readers’ minds are bringing the Earth’s climate to an all-time high. In an effort to bring the temperature back to a more comfortable level, we’re introducing a Q&A series that will run every Tuesday over the next three weeks. So, here’s your chance! Provide us with a brief synopsis of your current situation along with some short financial questions, and we’ll take a stab at giving you concise answers. For example, are you a parent with some questions regarding college savings plans? Or perhaps you’re a working couple in your 50’s with some retirement planning questions. Maybe you’re already retired and you’ve got some estate planning questions. Send them our way at contact@rollinsfinancial.com and we’ll work on answering them. We’re asking that you please keep your questions brief and limit them specifically to investing and financial planning, not the economy or political matters since Joe already frequently provides his opinion on those matters. Our goal is to provide brief, in-a-nutshell answers that will hopefully be useful to other readers in similar situations. Again, we’ll be launching this special series on Tuesday, August 10th. We can’t wait to receive our reader submissions so we can start working on this project. Whoops! Did I Really Read that in America? I make it a point to read a lot of opinion pieces in various newspapers around the country. Every day, I read the Atlanta Journal-Constitution along with The Wall Street Journal, Investor’s Business Daily and the New York Times, and on the weekends, I also read Barron’s. Because of my mostly conservative viewpoints, a client this weekend was surprised to hear that I bother reading the New York Times. It’s impossible to get a good feel for everything that goes on politics, economics and finance if you don’t look at opinions from all sides of the aisle. Historically, the New York Times has supported the progressive viewpoint (formerly called “liberal”) while The Wall Street Journal, with its acquisition by Rupert Murdoch, has taken the more conservative view. The Atlanta Journal-Constitution basically doesn’t have an editorial page worth reading, and the Investor’s Business Daily is even more conservative that The Wall Street Journal. In any event, I try to read them all so I can get a feel for the public sentiment on various subjects. Over the weekend, I read in disbelief an Op-Ed in the New York Times by staff columnist Bob Herbert (“A Sin and a Shame” published July 30, 2010). I have re-read Herbert’s piece several times now to make sure I understand his viewpoint correctly. Bob Herbert is a respected reporter who has worked for various respected outlets over the years, including being a national correspondent for NBC. While he’s always represented the progressive line on politics and economics, his July 30th was way over the top. While you may read Herbert’s column differently, I understand Herbert to opine that corporations in America have an obligation to employ people and increase their wages. That sentiment is wrong on so many levels that it hardly warrants a discussion, much less an Op-Ed in a respected newspaper. First and foremost, corporations are not owned by the government, and hopefully, they never will be. They have no obligations to anyone other than their shareholders. No corporation is obligated legally, financially or otherwise to employ people other than to fulfill their corporate goals. Their obligation and responsibility is to make profits, not to employ people and give pay increases just because enough time has passed. Governments in other countries require their corporations to employ its citizens – communist countries like China, Cuba and Venezuela spring to mind. It is almost unbelievable to me that a columnist for a respected newspaper like the New York Times would promote a line that mirrors communist ideology. The way to increase employment in America is to inspire corporations to expand and to exercise entrepreneurial spirit of higher profits and utilization of innovative processes. This country was built on the innovative, entrepreneurial spirit, and not on government-controlled mandates. Hopefully Bob Herbert will review a history book at some point to help himself understand how America was truly built – it certainly was not with governmental mandates for employment, profits or anything else for that matter.